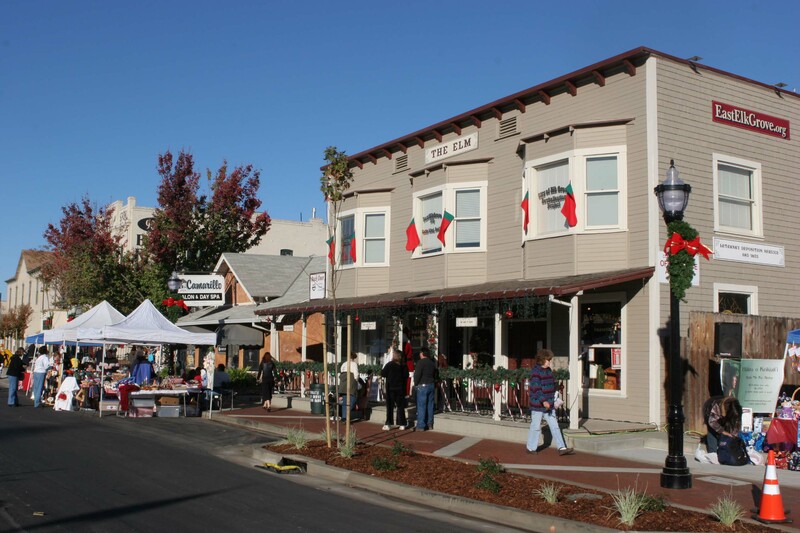 Each November, Old Town Elk Grove is closed to automobiles for the Dickens Faire, an old fashioned street fair that attracts thousands of visitors to its booths, performers, and vendors. Elk Grove, California (population 130,000) is located about 15 miles south of Sacramento. The town was established in 1850 and its proximity to historic Sutter’s Fort made it a crossroads for business, entertainment, mail service and agriculture, as well as home base for gold miners in nearby communities. Elk Grove was incorporated in July 2000, when it became the second largest city in Sacramento County. Agriculture has been a mainstay of the area’s economy, which also includes general manufacturing, high tech, professional service, and commercial and retail businesses. Elk Grove celebrates its rich history in a number of ways. In November 2005, the city completed a project to preserve and revitalize the heart of Old Town Elk Grove, including $6 million in capital improvements. The Elk Grove Historic District comprises 48 buildings of historic significance, including the general store, the Foulks House, built in 1853, and the Rhoads School, built in 1872. The Rhoads School serves both as a public museum and a living history program that immerses third and fourth graders in the one-room school experience typical of late 19th century Elk Grove. The Hotel Stage Stop and Museum replicates the original hotel built in 1850 that first made Elk Grove a viable commercial destination. Each November, Old Town Elk Grove is closed to automobiles for the Dickens Faire, an old fashioned street fair that attracts thousands of visitors to its booths, performers, and vendors. The annual Western Festival in May and summer open aire fairs are other events that bring visitors to Old Town.